Urbasm has been found guilty of begging. 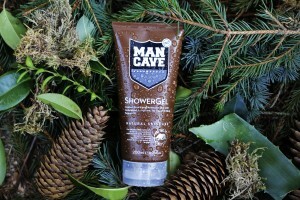 There are not many times that we’ve actually begged to review a product, but when it came to ManCave, we put our pride behind us and humbly asked if we could sample some of their grooming products that we’ve heard so much about. Several e-mails later, a little sniveling and squeaking of our wheels, and the reward for our persistence had finally arrived. It was the ‘Originals’ Gift Set, which included a four ounce portion of face wash, over three ounces of moisturizer, seven ounces of shower gel, seven ounces of shampoo, and a chunky deodorant log (it was no girly stick). As I opened the box, the air began to fill with the room with the aroma of spices and well-groomed wildlife taking their classy women out on the town. 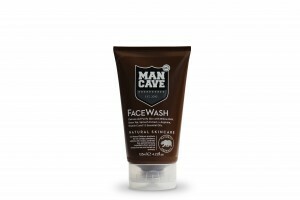 And this was a fitting vision, considering that ManCave prides themselves with offering healthy natural ingredients in all their products. And unlike some ‘natural’ stuff we’ve tried, these are not watered down versions, but rather a thick syrupy regimen of grooming awesomeness that does what it is supposed to using only a dab. The Definition of a Dab: A small amount of something. And perhaps I need to explain that definition of a dab further. You see, I am a man. My father was a man, as was his father before him. So, whenever something needed to be accomplished, the philosophy was that a dollop (large blob) was enough, but a huge heap would be even better. It didn’t matter if we were eating, twisting a bolt into an engine block, oiling a bike, or washing our hair. The main idea was that more is better, and I have stood by that rule for many years. With the ManCave Originals Gift Set, I have had to alter my philosophies to understand that there are indeed times when a dab is enough. Seriously, we received our sample over two months ago, and I am happy to say that we still have some product left. That is a pretty good value for the money. But, the Next Question is, How Good is it? Well, on a scale from 1 to 10, I’d give the shower gel, face wash, and shampoo an 8. And only because I don’t want ManCave getting too cocky about their product. Yeah, it was very very good, but perhaps next time it could feel more like being massaged by angels, or kissed by Tiffany Toth. So, until they get either one of these improvements accomplished, the experience will remain just exhilarating and pleasant. The aroma is a nice woody scent for the face wash, minty/pepper for the shower gel, and a more subtle note of Shea butter and testosterone for the shampoo. No matter how many mud pies I’d jumped in, a dab of gel provided enough lather to get any mess cleaned up, and me smelling fresh enough to pass any woman’s test. And while the aroma is strong while lathering up, it dies down enough once you towel off to add your own cologne without having the two dual each other for the finishing scent. The deodorant was also quite good. I would give it a 6 in general, and an 8 on the natural scale. 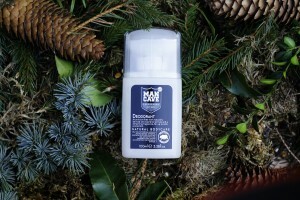 In other words, this is a natural base deodorant, which as Dave and Ethan would say, “Don’t use antiperspirant because it is bad for your armpits.” The ManCave deodorant combats bacteria the natural way with a few simple ingredients, including silver citrate and 12 essential oils. Overall, it claims it can last up to 24-hours, and in the wintertime I have no doubt this would be true. For me, I had to add a little deodorant mid-day if it was scorcher outside, or I was extra active. But a good portion of natural deodorants aren’t good enough to handle summertime weather at all, which is why it earns an 8 on the natural scale. 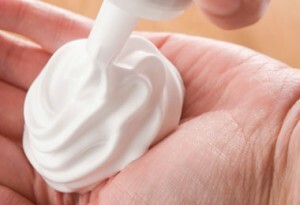 Finally, we come to the moisturizer, which is often missing from many gentleman’s morning rituals, and that is a shame if that includes you. 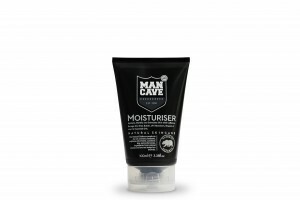 What I liked about the ManCave version is that it is very light, yet adds a very noticeable amount of moisture to the skin. I am not a fan of thick and greasy formulas, because they make their presence known for the ‘entire day’. This moisturizer soaks in quick, washes off easily, and leaves my skin looking and feeling like it should—smooth, not shiny, and clean. And while this is not an aftershave per say, I did use it as one quite often, and found it was soothing and non-irritating. The moisturizer also features UV absorbers, which is important if you spend any significant time out in the sun. I thought this was a nice little addition, and you wouldn’t even know it was there, which makes it even better. As a whole the originals kit was a hit at our office, and even our resident female, Pamela Causfield, gave it a thumbs up for its natural ingredient list. Armed with my new philosophies of: just a dab will do and a little bit goes a long way, I invite you to give yourself the gift of manly scent, the confidence of feeling fresh, and a smile of relief if somebody’s face ends up crammed into your armpit on a crowded elevator or bus. 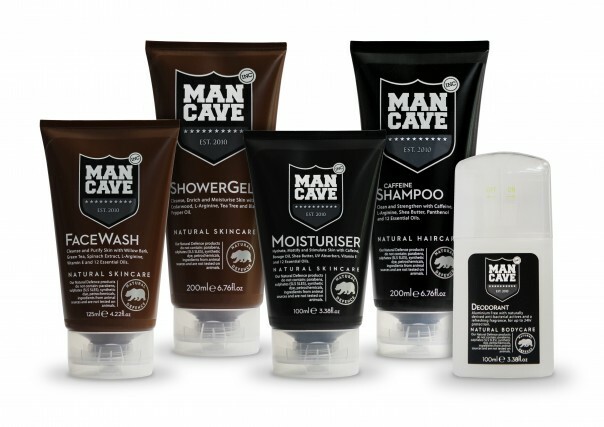 ManCave Natural Grooming Originals is a worthy product at a great value, and we stand by that. And if you happened to come by and smell us, you would be pleased by the aroma, and would probably stand with us for awhile until you became bored and left. Get your ManCave essentials here.